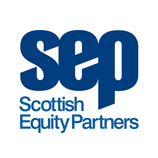 Scottish Equity Partners (SEP) is one of the UK’s leading growth investors. Operating from offices in London, Glasgow and Edinburgh, SEP makes equity investments across a range of sectors, including enterprise software, consumer internet and tech-enabled service businesses. SEP has a long and successful track record with over 150 investments made and 130 exits. SEP has been behind some of Europe’s most successful technology companies including Skyscanner and Matchesfashion.com. 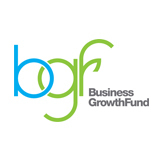 Business Growth Fund has been established to help Britain's fast growing smaller and medium sized businesses by providing access to long term equity finance. It will invest between £2m and £10m per business in return for a minority stake and a seat on the board for a BGF director. BGF is an independent company with capital of up to £2.5 billion, backed by five of the UK's main banking groups - Barclays, HSBC, Lloyds, RBS, and Standard Chartered. It is managed completely autonomously with an independent management team. BGF is one of a range of initiatives designed to forge a new relationship between the banking sector and UK businesses, and works in close collaboration with the British Bankers' Association as well as other key business organizations across the UK.